Workwear. One of those words that sounds terribly boring on the surface but has so much inner potential. 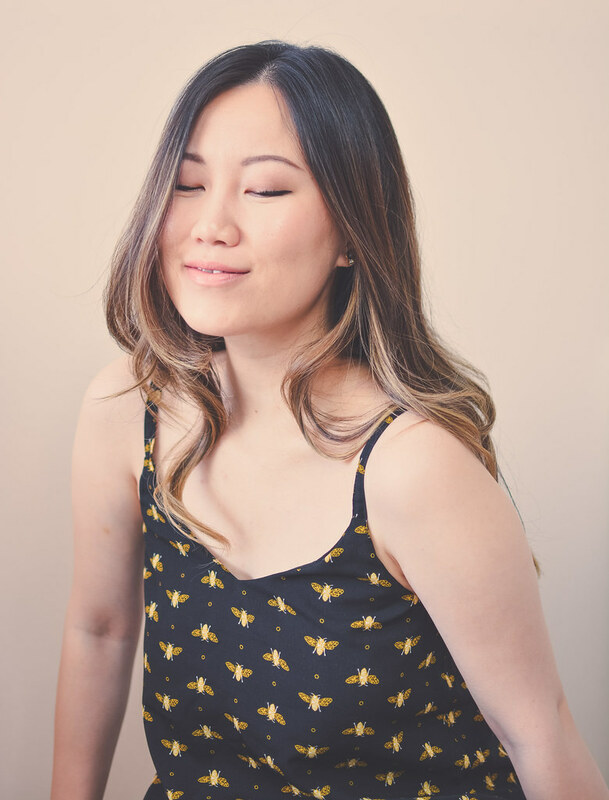 While I do prefer non-fussy and easy to wear pieces, I also advocate for a working wardrobe that makes you excited and happy to put on clothes in the morning. When it came to off the rack options, my struggles had always been fit and price point. Being short and dressing professionally can often be at odds with each other. And then it suddenly struck me, with a twist in colours and fabric choices, there was no reason that I shouldn’t or couldn’t sew my own workwear. 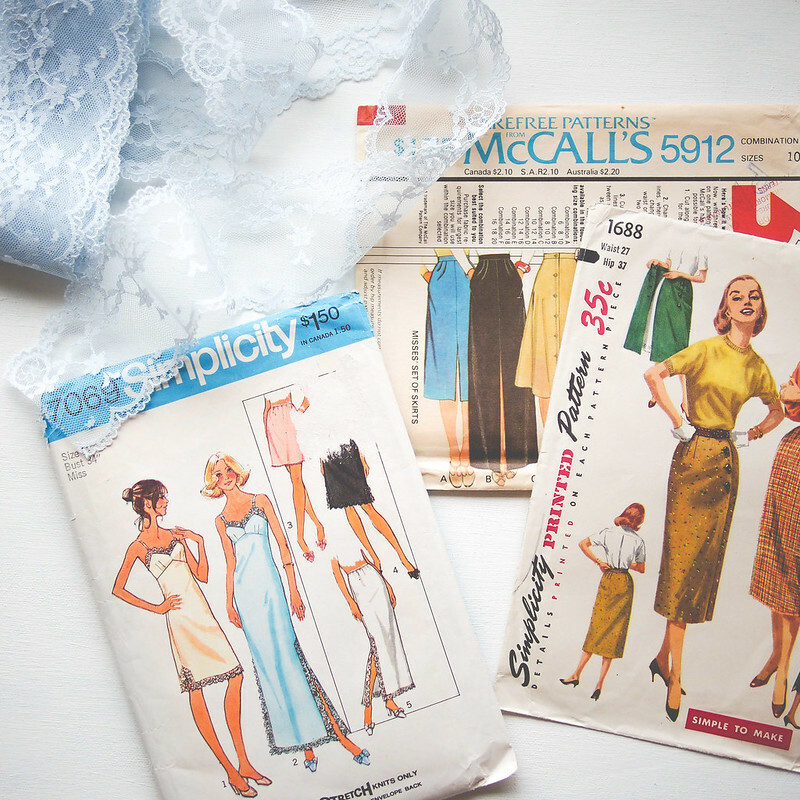 Here’s a peep at what I picked up recently and my plans creating your own ready to work sewing capsule. Before you get too excited picking out patterns left and right, it’s crucial to evaluate your everyday environment both at work and on the way to/from work. This is especially important if you transit as you’ll need to account for weather and temperature challenges. Personally, this translates into comfortable but weather proof pieces that will keep warm on the road but still dust off nicely when I step into the office. Full length pants with ankle coverage so I can pair with boots along with an easy pull on waist design so I’m not fumbling with zippers and buttons. Options in crisp wovens or wooly knits would be ideal. The magic word of the fashion world, layering is something to keep in mind when planning a handmade wardrobe as well. Lots of brands offer patterns that contain a mix and match set of pieces that you can duplicate in different colours and textures but still maintain a cohesive overall look. These are great if you find a silhouette you love or don’t want to fuss with piecing together individual separates. All the hard planning is done for you so all you do is sew it up and go. 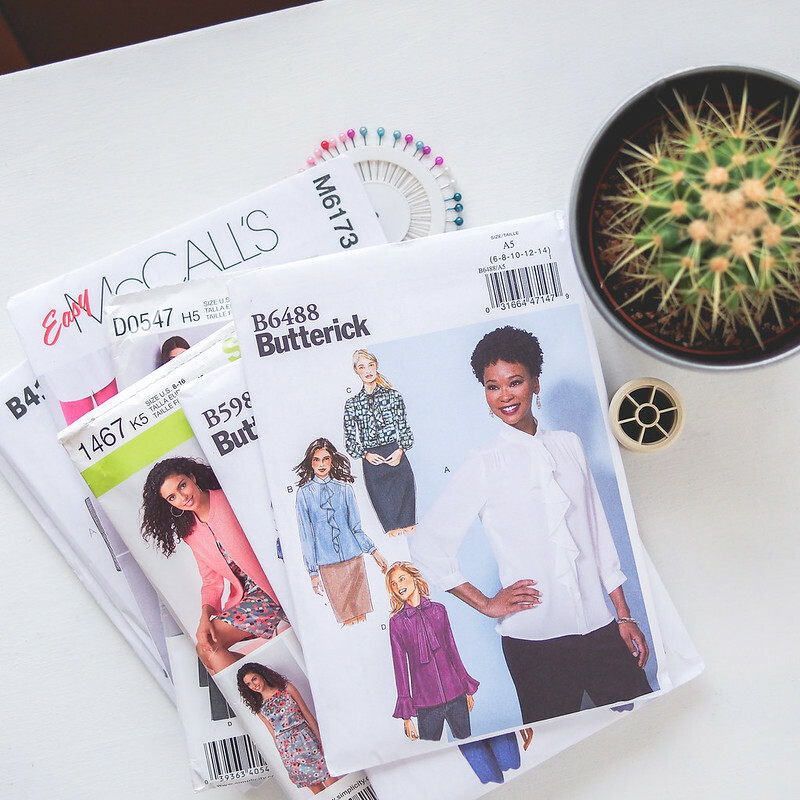 Its sounds like common sense but having a vision of the colour palette or specific fabric for your sewing pattern before you check out means you’re more likely to sew it and see it to completion. I would say this takes the most experience to truly grasp because it’s so easy to just see the design as its made in the photo sample. Figure out what element attracts you to that pattern and how will it look with the rest of your closet. 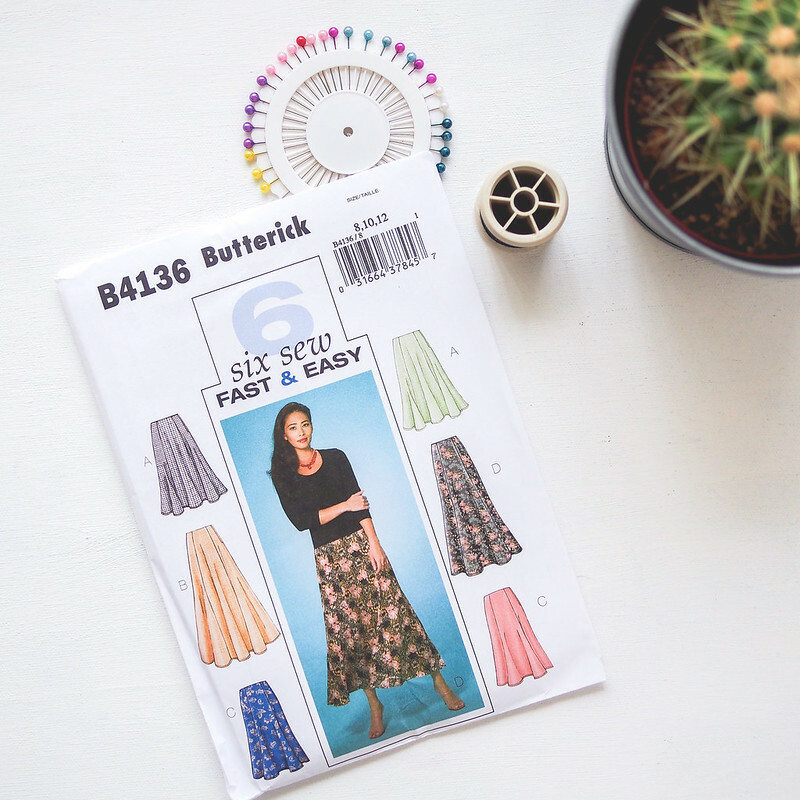 When I see Butterick 4136 for example, I know it’ll be so stylish as a gingham or tweed skirt paired with tall suede boots and a cozy sweater. Just as I started this post talking about the challenges of great fit in a professional capsule closet, I want to end on this note as well. 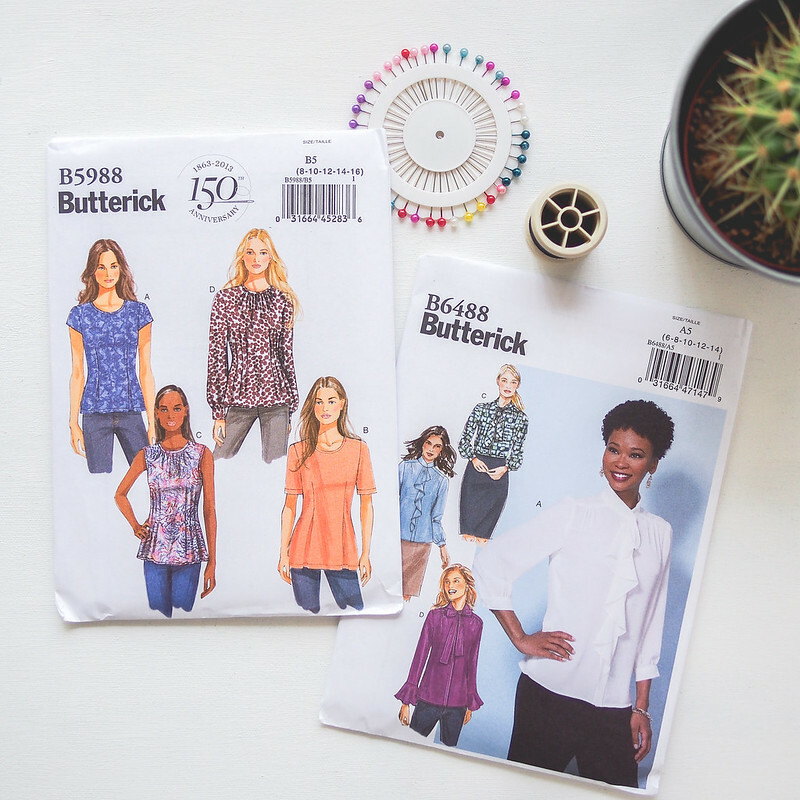 If you do a little extra digging, you will find that the Big 4 (Vogue, Butterick, Simplicity, McCalls) do have a few options for petite sizing which means you’re more likely to get a better fit straight from the envelope with minimal adjustments. Most of today’s picks were chosen for exactly this reason and I can’t wait to get started on them. Follow my sewing progress on Instagram #sewwithgerry through the week to see what I’m making. 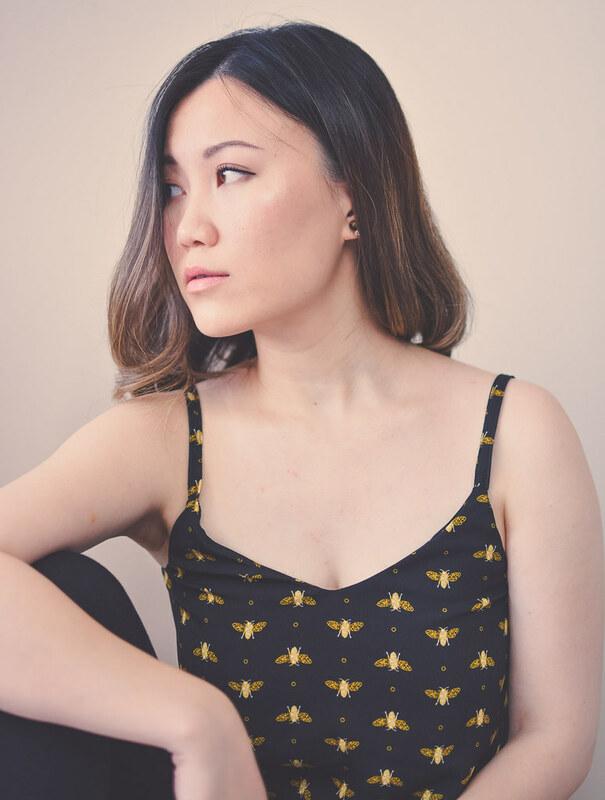 This sassy little tank top started with me in my usual habitat…shopping, when I came upon this beautifully whimsical fabric with prints of little bees in bright yellow. On the next few trips, I’d always stop by to look at it on the bolt but with nothing to use for it, every time it stayed in the shops. That is, until I found the Ogden Camisole pattern and what do you know, the two together is completely adorable! 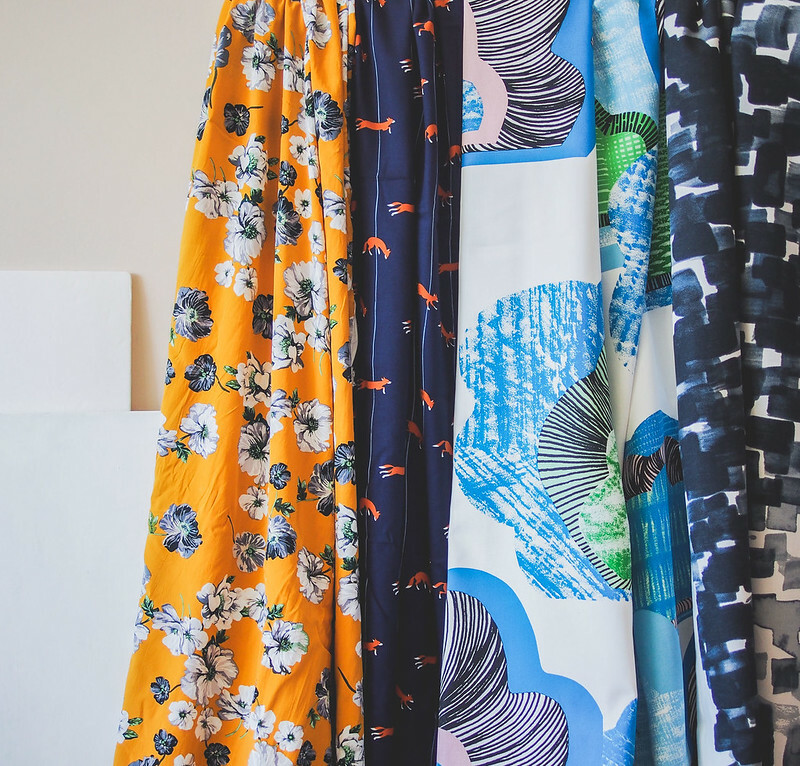 As I don’t prefer to wear anything too fussy design wise, I often find myself at the cusp of being boring with my wardrobe but it’s these unexpected combination of fun fabrics and classic silhouettes that creates an interesting modern piece. My challenge with finding the perfect ready to wear tank is either a too low cut in front or too long straps but sewing one myself means I can fix both in a jiffy. I love when simplicity in good design makes a garment easy to sew plus easy to wear and Ogden is just that. No bias cutting, no complicated seam finishes plus this even comes with a built in facing (which I’ll have to lengthen next time). Being adventurous, I thought the loose looking camisole would be fine sized down but as you can see, it pulls at my high bust (where the fabric creates horizontal lines) so I’ll have to go in for a size 4 next time. Can’t wait to see how this looks made up in blush pinks, stripes, florals, leopards….. The best thing about getting back into garment sewing has been all the all the little revelations and epiphanies along the way. In between sewing pockets and struggling with zippers, I’ve been really excited to fall in love with colour again. In my childhood my mother dressed me in ditzy florals and pastel pink button down shirts but my teenage years were clouded by blacks, greys and lots of denim (denim my friends, is another story). Coming out on the other side in early twenties, I had soon adopted a fear of colours and prints. I often hummed and hawed over what went together then shove my frustrated pile in the back of my closet and put on something safe instead. Didn’t they always say black was slimming? 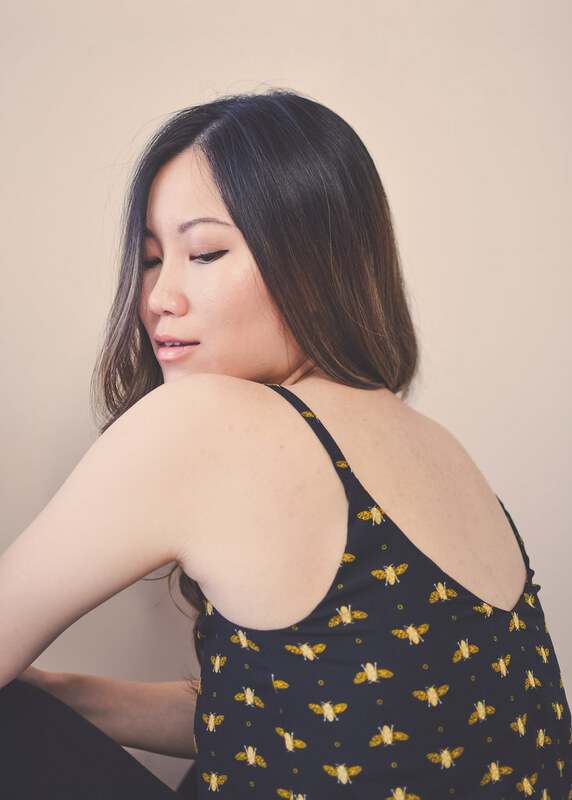 The problem was that I had stopped loving my clothes. My wardrobe overhaul has been in the works for more than a year now yet looking back at the progress, I’m glad that it was a slow and purposeful project. I started branching out from my comfortable greys into coloured solids and classic patterns like stripes and polka dots then before you know it I was buying foxes, poppies and cartoon clouds. My guidance came from bloggers like Oh Joy and Oona Balloona who expressed so much happiness through their bright and colourful clothing choices that it was practically addicting. 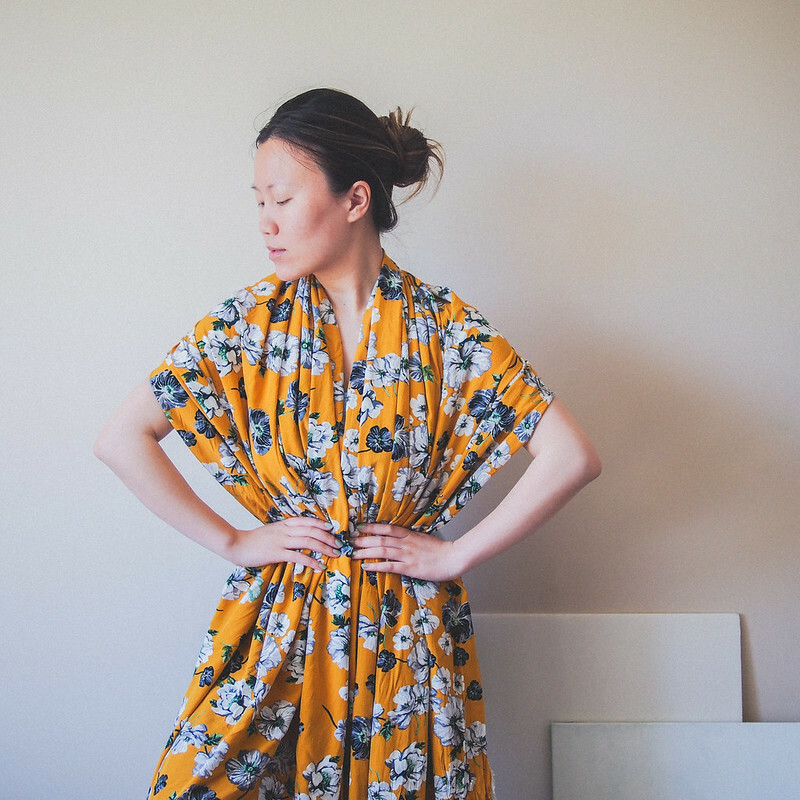 This week I’ve thinking about this new vintagey mustard yellow floral rayon that’s going to be made into an Eve dress; it makes me smile just looking at it! I’m really starting to think this is what life should be about. Just as I’m typing up the title for this post, I realize I’ve been a little forgetful about proper sewing updates. In fact, the last Sew What Now video was from the holidays but this month, a blog post will just have to do. Despite the slow start to spring this year, I’m looking forward to getting a few skirts into my wardrobe because I’ve wearing nothing but my dark denim and waterproof boots and I am so done. This pattern was a impulse purchase after my frustrations with sewing up a Seamwork Ariane slip. While I was initially smitten with the contoured cups and stylish elastic edging, I just didn’t have the skill set to tackle it and now it lays in the maybe-later bag. This 70s vintage slip has a few of the same elements such as the bust shaping but in a much more relaxed design and you know…no fussy lingerie elastic. While I will have to make some height adjustments, I love that this is a 5-in-1 design that will pretty much cover everything I’ll need to build a basic under-dress collection. This is one of my #2017MAKENINE projects. Think cropped sweater, little gloves and seam backed stockings… I immediately feel in love with this 50s skirt pattern when I first saw it. Frankly, I’m always looking for pieces that are fitted but without zippers and this one even allows for a lined option – navy outer with leopard print insides anyone? This would be great as a fall/winter staple but might work in a medium weight twill for spring as well. Piping to the edges? Cool button details? How about an external pocket? Oh the possibilities! Now this is a bit of a remake as I first stitched up a heavy weight test version of this 70s double slit skirt during the winter…except its now too big. The great thing is that practice makes perfect and cutting into this pattern a second time, I found myself breezing through the instructions and this will most lightly be the next completed project post coming to your screen! There’s a sneak peek of it over on my Instagram but I can tell you now that the fit (in a smaller size) is amazing and it will definitely be a well loved hit in my wardrobe. 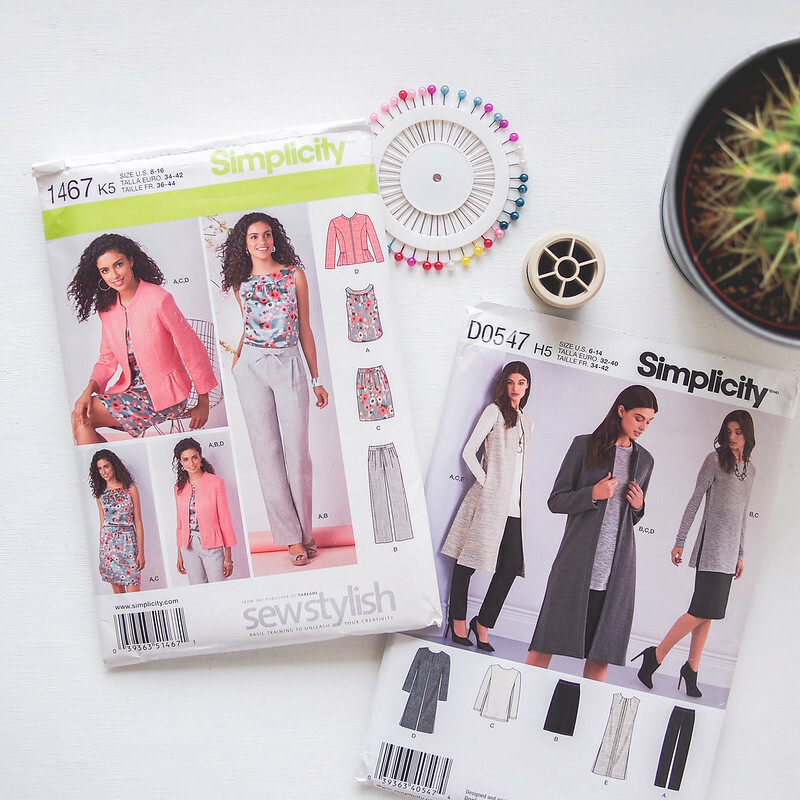 In other news, I’ve also made a few changes to my original plans for #2017MAKENINE as I’ve replaced a few of the projects with other additions so make sure you pop over to that page to see what’s up and as always, you can find me on social media for instant sewing progress… and maybe a few fails too because what’s life without a little variety.